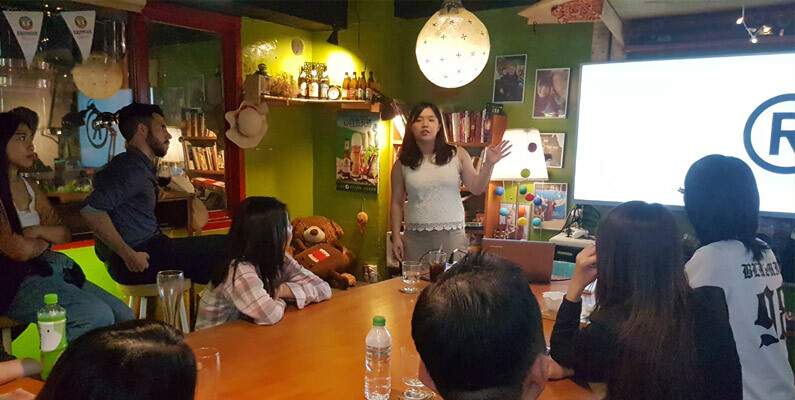 On August 9, 2018, the meetup group Taipei Marketing Talks invited MUSA to come and tell them everything that a marketing professional needs to know about trademarks. Taipei Marketing Talks is a Meetup group with more than 1000 members that meet regularly to learn about the latest and most important knowledge about marketing. The evening started with playing a game of recognizing the trademark. Would you be able to pick the exact shade of Tiffany blue or louboutin sole red? Can you recognize one type of liquor from another just by the shape of their (trademarked) bottle design. The audience did really well by working together. A key point for marketing professionals to keep in mind is the difference between brands and trademarks. The two terms are NOT interchangeable and there is a very precise legal difference between the two words. Your brand is your corporate identity. What does the customer think about when they hear your name? What are their feelings when seeing your products on a shelf? Will they think if you first when needing what you sell? Creating a brand takes the skilled work from everyone in your company from your designers and marketers to product developers and customer service call center. But a brand has not legal protection. After everyone in your company has worked together to create a great reputation among your customers, someone else could come in and just start using your same company or product name and rob you of your hard earned brand. Unless you have trademarked your names and logos. By trademarking, you gain legal protection for your brand and no one else can infringe on it without facing harsh penalties. Since trademark conflicts costs a lot of money it is very important to have a trademark strategy built into the company and marketing strategy from the very beginning. The marketing professionals who attended MUSA’s presentation on August 9 are now well versed in trademark strategy!